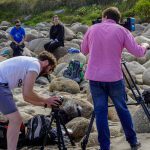 An ITN film crew came to our Summer Course in Cornwall this year to film us for an ITN Tonight documentary on pain relief. 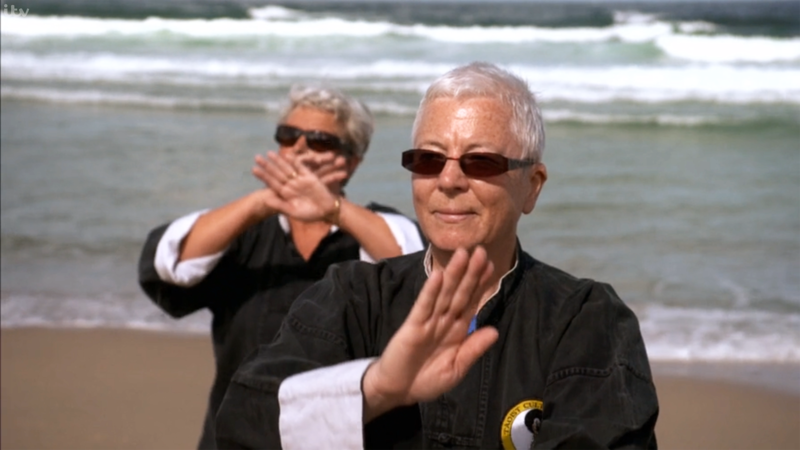 You can see the Tai Chi in the last five minutes of the programme. 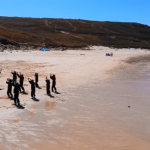 We went down to Sennen Cove first thing in the morning to do some T’ai Chi and warming up exercises for the course and they interviewed some of our students. 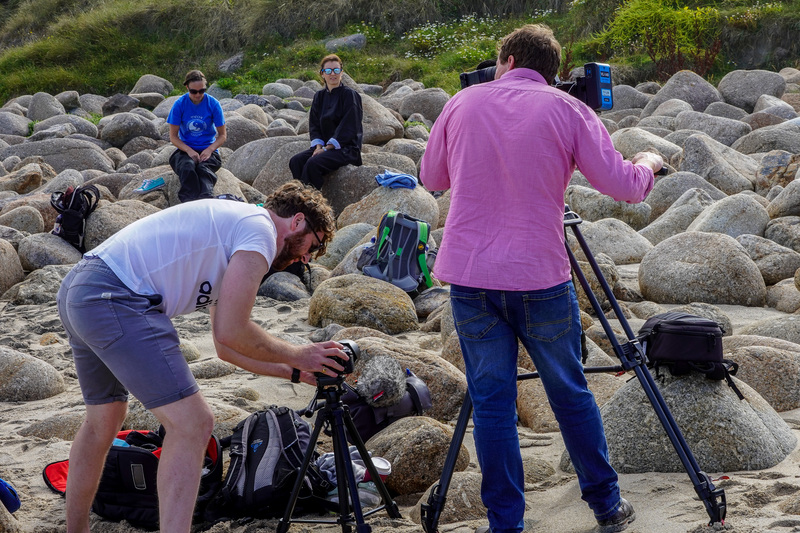 The documentary is about opioids which are prescription drugs given out by doctors to help people with long term pain. Unfortunately although these are very good in the short term, but when they are used for longer periods they become less effective and can lead to addiction and a variety of unpleasant symptoms. 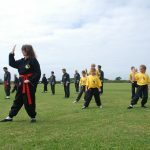 However some people have found that more natural methods can be effective to help people manage their pain and T’ai Chi is one of these methods. According to Traditional Chinese Medicine long term pain can be caused by obstructions in the energy meridians which choke the flow of Chi or life force. 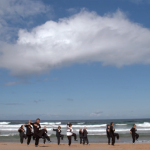 T’ai Chi exercises can really help to improve the flow of Chi and so people feel less pain. 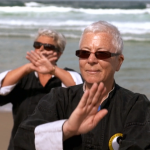 T’ai Chi also helps the body and mind to regenerate more quickly and so in the long term the amount of pain suffered is reduced and so overall less side effects are experienced. If you are interested in looking at some alternative approach to pain relief then have a look at our Association’s main website and see if there is a class or course near you. 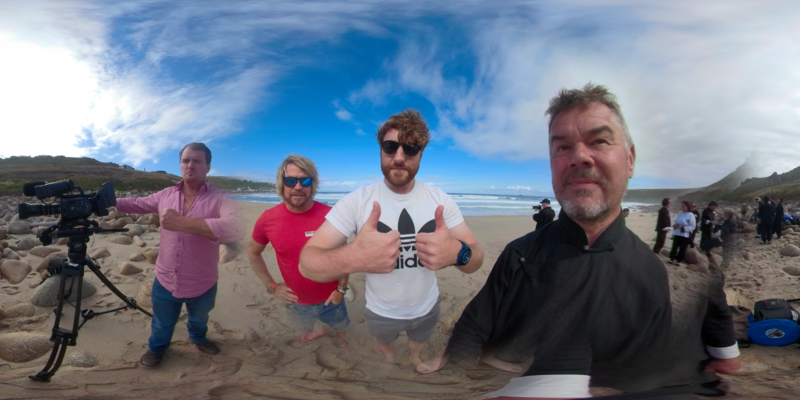 The Knut, St Just Plen An Gwarry, Cornwall. ‘Anmo’ or Chinese Massage is based upon entirely different concepts and principles to the kind of massage and therapy which we are commonly familiar with in the West. The course consists in a programme of practical work with partners under the supervision of a teacher to practise and learn the basic massage techniques. There will also be daily seminars about the basic concepts of Chinese medicine as outlined below. 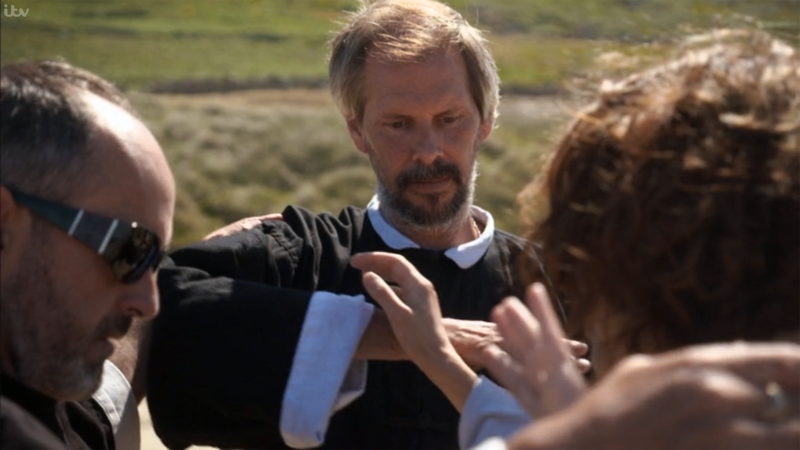 The course is essential for anyone who is interested in taking their T’ai Chi onto an advanced level, but is also suitable for anyone who is looking at alternative ways to aid the bodies defences and ability to regenerate itself and recover from diseases as well as build a stronger immune system. Even Western anatomy and physiology is fundamentally different to the theory of Chinese Medicine because the Chinese view of the internal organs was not developed from dissection of dead bodies. The Chinese theory of internal organs or ‘Zang Fu’ 脏腑 was developed from research and studies conducted by Taoists from early times and is based upon the flow of energy around the body which interconnects the organs according to a series of natural functions which is unique to Traditional Chinese Medicine. Each organ is not just an anatomical unit but also includes an energy meridian or channel and is linked to other functions in the body including emotions. Over this five day course you will spend each day learning one of the ten basic massage techniques which are designed to stimulate or sedate the flow of life-force or ‘Chi’ around the body. We will also be looking at diagnosis methods based on the system ‘the five methods of examination’: asking, looking, touch, listening and smelling. This is a traditional method based around the five elements and the five senses, and involves a variety of ways to observe the illness and get better feedback before proceeding with treatments including pulse examination. Chang Ming or Taoist Long Life diet is a time tested approach to nutrition which has been researched by Taoist Masters since before recorded history. The diet is highly effective in boosting the store of ‘Chi’ or life-force within the body and is based around the Taoist principles of respect for Nature. This means eating natural foods which are unprocessed and avoiding any chemical additives and colourings etc as well as cutting down on red meat and dairy products. Herbs are a large part of Chinese Medicine and thousands of herbs have been catalogued over the centuries, each herb can have varying yin or yang effects. We concentrate on Chinese herbs that also grow in the west following the Taoist principle of using locally grown natural medicines. Meridian massage. Located throughout the body are special pathways through which the life-force flows including eight special meridians which act as storage vessels similar to the streams, rivers and reservoirs which irrigate the landscape. The meridian massage can be used to stimulate or sedate the flow of energy depending on the elemental imbalance and is also a good way to open up the channels to free blockages and improve the smooth flowing of Chi just like the way sap flows in a tree. Breathing exercises: Deep breathing is essential for stimulating the production of Chi in the lower abdomen but there are also many specific exercises which can not only help with the process of Chi cultivation but also to help build the immune system to prevent a variety of specific common diseases. Contact thermogenesis: Moxa or Ginger Compress is similar to acupuncture but uses heat to stimulate the energy, the body fluids and the regeneration of body tissues. It is very good for removing stagnation in the system and helps to focus the repair process for example with bruising or injuries. We will be learning practical exercises to help us locating the eight extra meridians as well as the ten organ meridians in the body and their associated important energy centres and points related to acupressure. 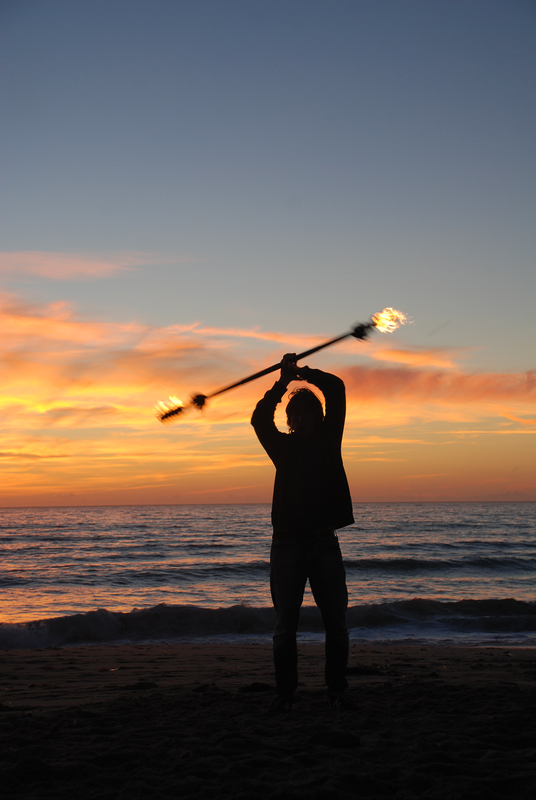 Understanding the five elements theory. 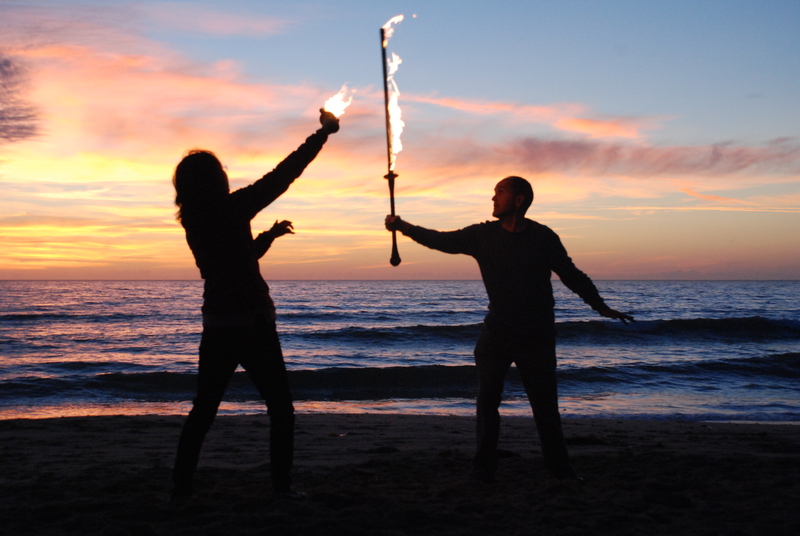 To begin with we will be having a look at how the five elements are related to the way energy is balanced between the internal organs as well as relating this to emotional as well as physical factors of disease. Understanding the eight principles of disease classification. Eight principles is a major form of disease classification used in modern Chinese medicine to differentiate syndromes according to Yin or Yang factors. 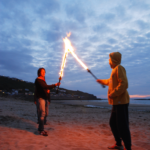 The Taoist Arts Summer Course for 2018 will be held at the St Just Sports centre which is on the Cape Cornwall road half a mile west out of St Just next to Cape Cornwall secondary school. The course is open to beginners, intermediate and advanced students. Those who are travelling to the course from a distance may want to reserve accommodation. 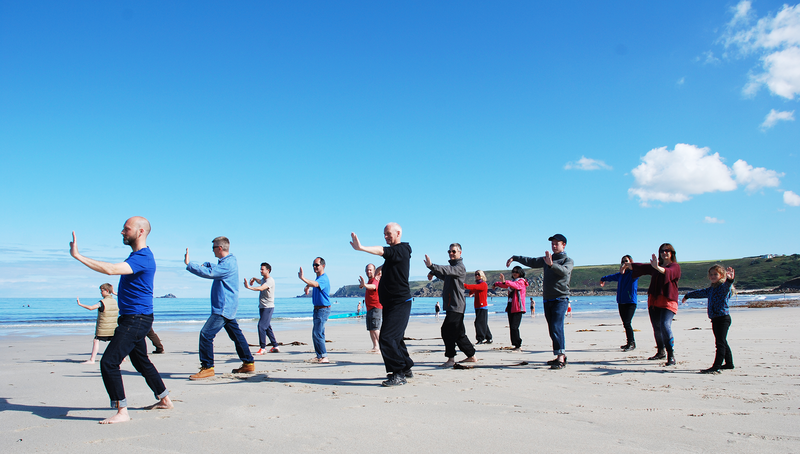 The Tai Chi Summer Course in Cornwall is open to beginners, but it is also an ideal opportunity for students practising Lee style T’ai Chi and Kai Men qigong to develop a more thorough grounding in the Art, in actual fact this course is equivalent to six months training at evening classes. Our advanced students and teachers will be on hand so there’s plenty of opportunities to learn from experienced people both in groups and on a one-to-one basis. Plus there’s also a chance to train with many other students from around the country who are at your own level to share information and training tips you have picked up along the way at your local classes. It’s a great way to get to know the other members of the Association in a relaxed environment free from external distractions in an area well known for it’s outstanding natural beauty. 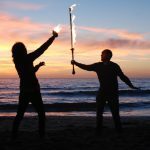 Many of you will find familiar faces from your own local regions but will also be meeting new people who share an interest in the Taoist Arts of the Lee style. Finally you can choose to be assessed – if you wish – by the senior teachers, which is the perfect way to structure your development and target your personal strengths and weaknesses. 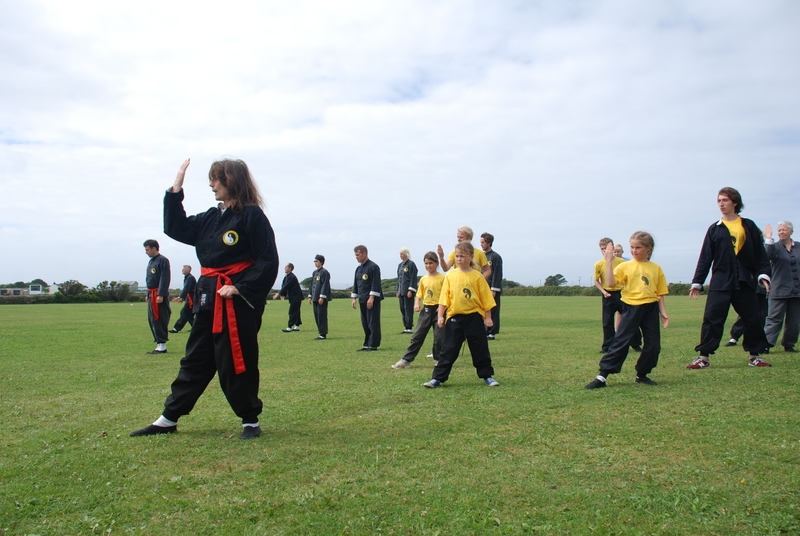 Feng Shou self defence is orientated around learning a soft style self defence method in it’s essence. 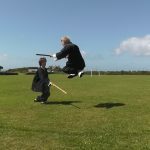 It is a practical method but does not require the kind of brute physical strength or demanding physical exercise regime sometimes associated with Martial Arts training because it utilizes the dynamic power of Chi or what the Chinese know as ‘internal energy’. This week long course will give the beginner a thorough grounding in the basics of the Art and for the more advanced students there will be plenty of opportunity to practise what you have been learning at the weekend and evening courses in your area as well as learning the advanced forms, evasion sets, foot-flow patterns, rollaway techniques and so on and so forth. There will be a grading for those who wish to be assessed at the end of the week. It is also compatible with Lee style Tai Chi Ch’uan. At The Knut by the Plen An Gwarry in St Just. Diet: Chang Ming or Taoist Long Life diet is a time tested approach to nutrition which has been researched by Taoist Masters since before recorded history. The diet is highly effective in boosting the store of ‘Chi’ or life-force within the body and is based around the Taoist principles of respect for Nature. This means eating natural foods which are unprocessed and avoiding any chemical additives and colourings etc as well as cutting down on red meat and dairy products. Herbal therapy: Herbs are a large part of Chinese Medicine and thousands of herbs have been catalogued over the centuries, each herb can have varying yin or yang effects. We concentrate on Chinese herbs that also grow in the west following the Taoist principle of using locally grown natural medicines. Meridian massage: Located throughout the body are special pathways through which the life-force flows including eight special meridians which act as storage vessels similar to the streams, rivers and reservoirs which irrigate the landscape. The meridian massage can be used to stimulate or sedate the flow of energy depending on the elemental imbalance and is also a good way to open up the channels to free blockages and improve the smooth flowing of Chi just like the way sap flows in a tree. £35 per day, £20 per half day, £160 per week. 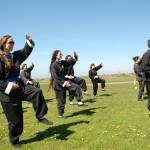 The Easter Course is open to beginners and more advanced students of T’ai Chi who are attending our classes around West Cornwall. 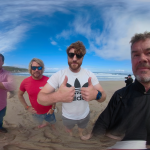 There will also be students from other clubs around the country who come together to train with their colleagues for a week over Easter in an area of outstanding natural beauty. 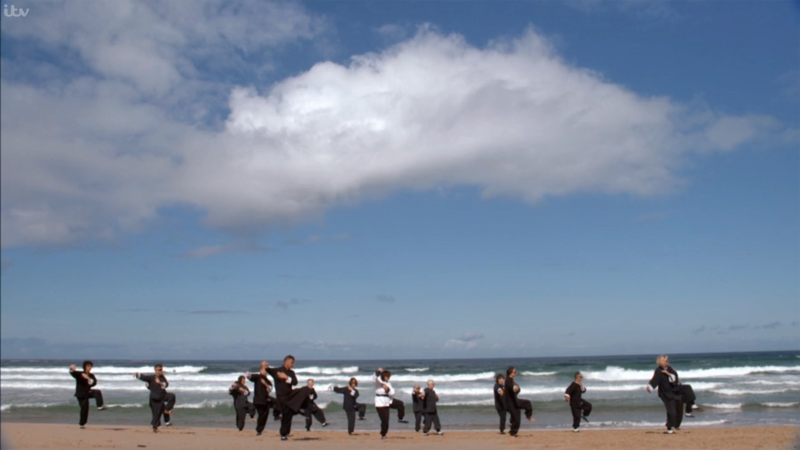 T’ai Chi is a series of meditative movements you can learn to improve your health, sharpen your mind and strengthen your spirit. 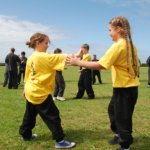 It also contains partner exercises which are good for balance, sensitivity and co-ordination. It originates from China and was developed thousands of years ago by a group of people known as the Taoists who studied Nature and developed exercises which increase the life force which they called the Qi. If you are interested in the course and want to book a place Contact us. 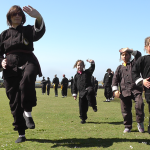 The Taoist Arts Summer Course for 2017 will be held at the St Just Sports centre which is on the Cape Cornwall road half a mile west out of St Just next to Cape Cornwall secondary school. 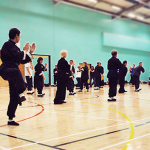 The course is open to beginners, intermediate and advanced students of the Lee style. Those who are travelling to the course from a distance may want to reserve accommodation. £37 per day or £160 per full week per person, £400 for all three weeks. 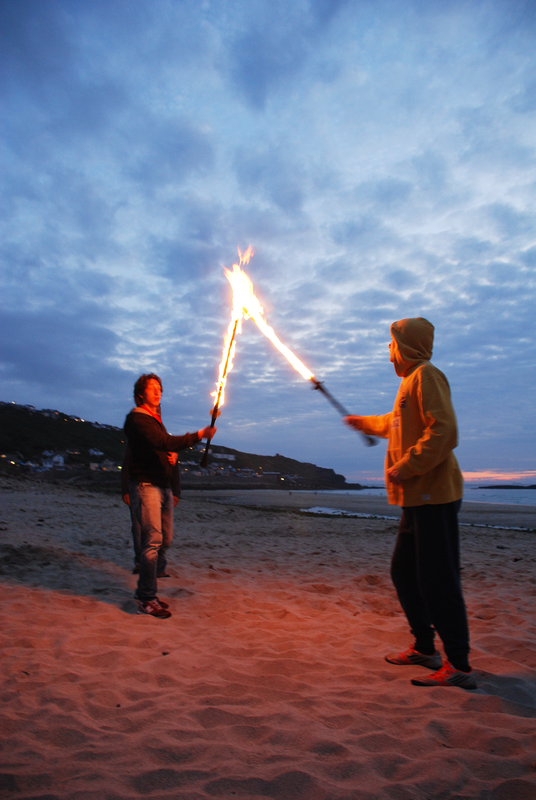 Three weeks of Taoist Arts courses in an Area of Outstanding Natural Beauty. 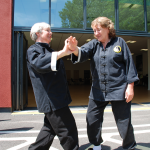 Each day starts at 10am with some gentle warming up exercises, then we go through the T’ai Chi T’iao wu 跳舞 or dance, sticky hands, K’ai Men chi gung 开门, Tao Yin 岛隐, Energy recognition and development exercises with partners, sensitivity training and T’ai Chi Ch’uan or form. There’s a morning and afternoon tea break and lunch is from 1-2pm. The week has a good ration of teachers to students so you can be sure you will be able to work at a group on your own level and get plenty of individual attention. The cost is £40 per day (OAPs/students/unwaged £20). This week is at St Just Sports Centre. 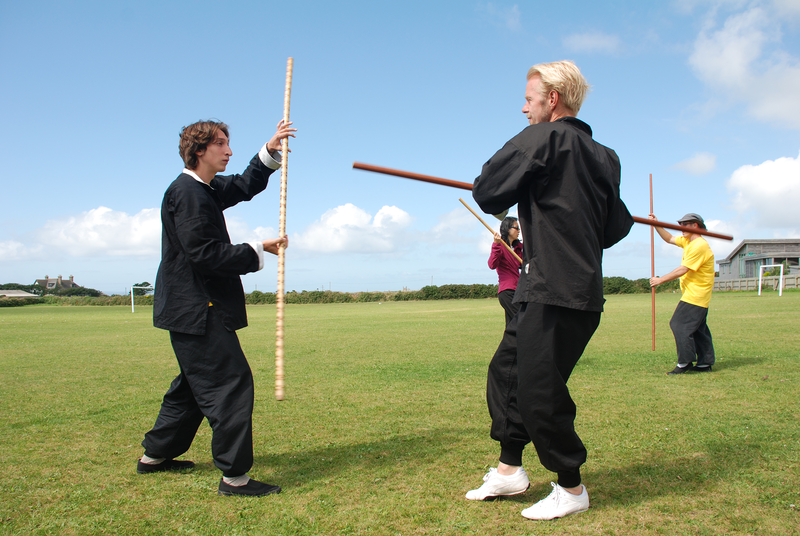 Feng Shou kung fu is a gentle but very effective Taoist self defence style from Shandong in China. The training exercises do not require brute force or physical strength so they are suitable for everyone of any age male or female. This course is good for beginners or intermediate or more advanced students. 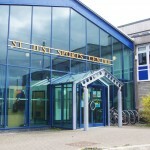 This week is at St Just Sports Centre. Anmo is Chinese Taoist energy meridian massage therapy. We will be learning some of the background to Chinese medicine theory as well as practical skills like diagnosis and massage techniques. We will be looking into particular approaches to treating certain diseases and concentrating on preventative methods. 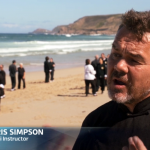 This course is at Boswedden House near Cape Cornwall. The residential Summer Course is an ideal environment for beginners and advanced students alike to further their studies. Instructors and senior students from the different areas will be on hand to offer high quality help and advice on all aspects of the Lee style Arts, and it’s an ideal opportunity to get to know the other members of the group in a relaxed environment free from external distractions in an area well known for it’s outstanding natural beauty. 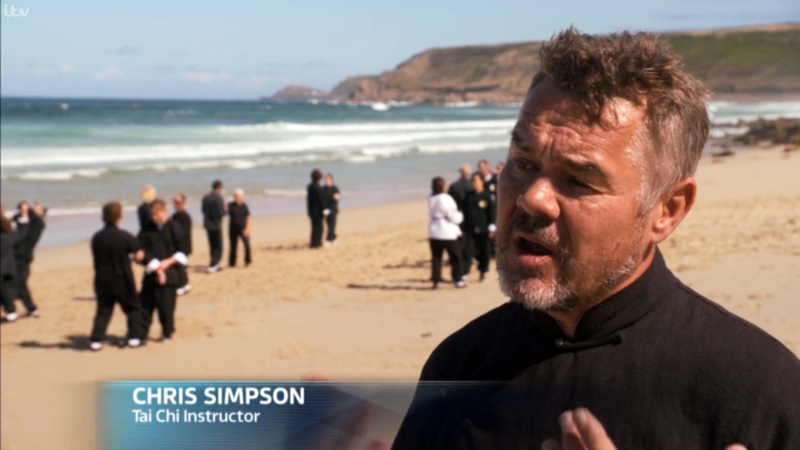 Each week of the Summer Course is equivalent to six months of training. 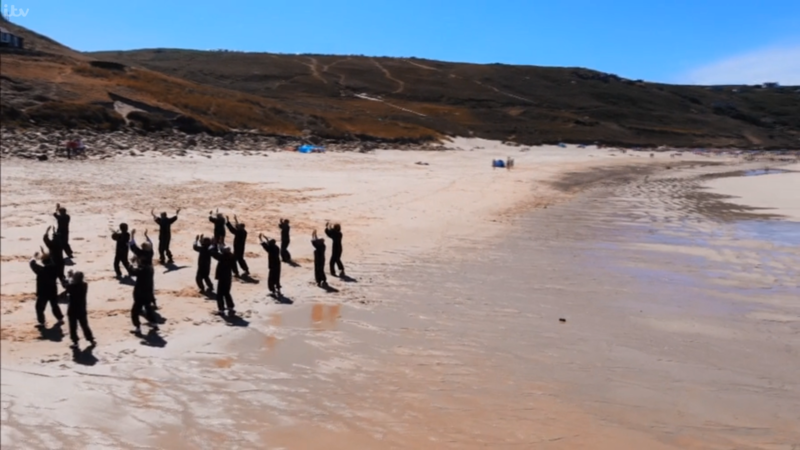 The Summer Course in Cornwall is an ideal opportunity for students practising T’ai Chi to develop a thorough grounding in the Art, in actual fact this course is equivalent to six months training at evening classes. Many of our advanced students and teachers will be attending the course so it’s a good opportunity to benefit from their experience as there is a high ratio of teachers to students which means plenty of opportunities to work with a teacher on an individual basis. Plus there’s also a chance to train with many other students from around the country who are at your own level to share information and training tips you have picked up along the way at your local classes. And of course it’s an ideal opportunity to get to know the other members of the Association in a relaxed environment free from external distractions in an area well known for it’s outstanding natural beauty. 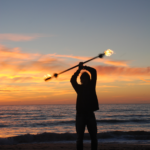 Many of you will find familiar faces from your own local regions but will also be meeting new people who share an interest in the Taoist Arts of the Lee style. Finally you can choose to be assessed – if you wish – by the senior teachers, which is the perfect way to structure your development and target your personal strengths and weaknesses. 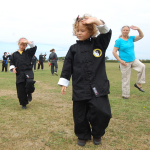 Although T’ai Chi Ch’uan is within itself the most powerful method of self-defence, it is not always practical for everyone to wait the ten or more years necessary to develop the required level of skills. 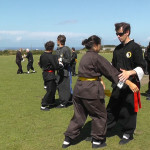 Feng Shou self defence is orientated around learning a soft style self defence method in it’s essence. 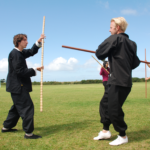 It is a practical method but does not require the kind of brute physical strength or demanding physical exercise regime more commonly associated with Martial Arts training because it utilizes the dynamic power of Chi or what the Chinese know as ‘internal energy’. 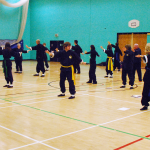 This week long course will give the beginner a thorough grounding in the basics of the Art and for the more advanced students there will be plenty of opportunity to practise what you have been learning at the weekend and evening courses in your area as well as learning the advanced forms, evasion sets, foot-flow patterns, rollaway techniques and so on and so forth. There will be a grading for those who wish to be assessed at the end of the week. Chee Soo talking about the benefits of Tai Chi on the radio in 1977. A rare interview from BBC One in 1973 of Chee Soo demonstrating Feng Shou soft style kung fu. Chee Soo interviewed on BBC One in 1973. 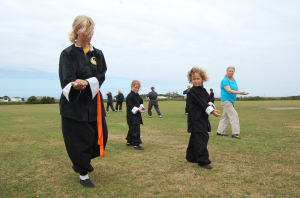 Tai Chi is good for all ages. We start the day with some gentle warming up exercises, this helps to loosen up the muscles and relax the tendons and joints before we start training. The morning session is from 10 am to 1 pm and usually includes a tea break at around 11:30am. 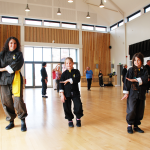 We will be learning the Tai Chi dance and we usually do some partner exercises like sticky hands, whirling hands and arms and some Chi and Li energy demonstration exercises. 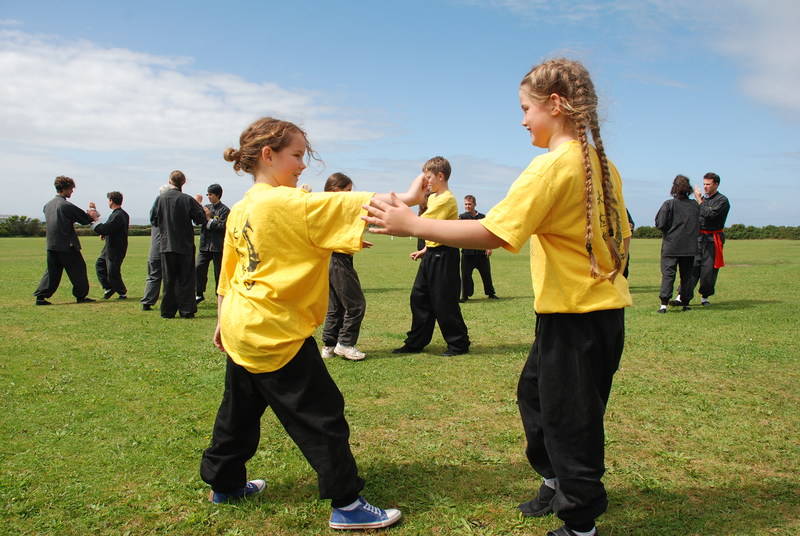 Partner work is very important in Tai Chi as it helps us to develop sensitivity and awareness both of ourselves and others. Also it is a great way to test some of the principles we are learning through the forms and interact with other members of the group. 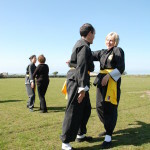 Although learning with the teacher is important it is also of great benefit to learn from other members of the group, this reflects the family nature of the Lee style’s origins. We usually have a tea break half way through the morning and afLunch is 1-2pm, you can bring a packed lunch or there are cafes and shops selling take away sandwiches and cakes in St Just only a few yards from the course, tea will be available. 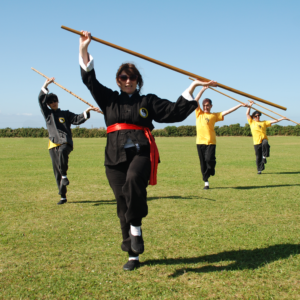 The afternoon session starts at 2pm and we usually begin with some Kai Men Chi Gung and Tao Yin exercises. These help to open up the energy channels and stimulate important energy centres as well as developing the breathing capacity. We can develop the ability to absorb energy from the environment around us to supplement our own energy store, this has enormous benefits for health and longevity. 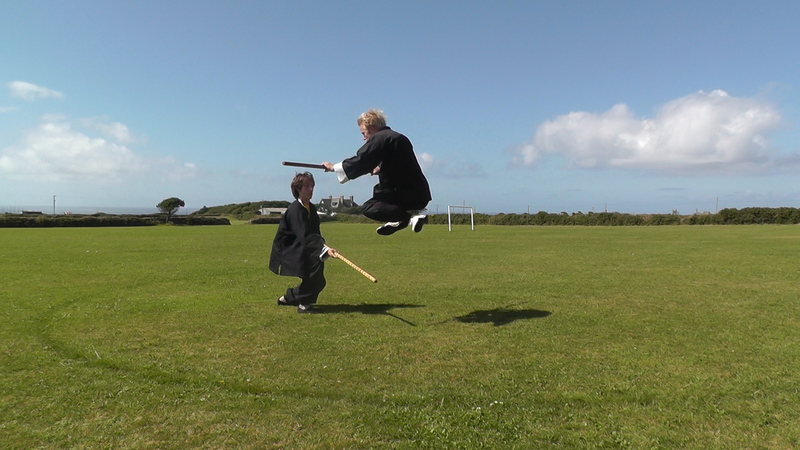 We may do some more partner exercises during the afternoon and finish with the Tai Chi form. These are the oldest form exercises in our style which are in sequences. This five day course is an ideal opportunity for beginners to benefit from working with experienced people and the extra time spent on each exercise compared to an evening class means we can look at each exercise in greater depth. 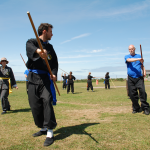 We will also be practising some of the traditional weapons exercises of Tai Chi including staff, sword, fan and silk. If the weather is fine we will be working outside on the sports field behind the sports centre. 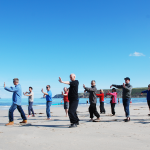 Our experience over several years of running these courses in West Penwith is that doing Tai Chi in a beautiful and relaxed environment outside like this clearly enhances the effect.